The IRS is on the hunt again for unreported foreign bank accounts. Already quite adept at finding taxpayers with hidden or undisclosed accounts overseas, the IRS recently obtained permission from a federal judge to issue a John Doe summons to several companies. This time, the IRS will be seeking records of shipments made through FedEx, UPS and DHL. U.S. District Court Judge Vernon Broderick in Manhattan authorized the subpoenas. 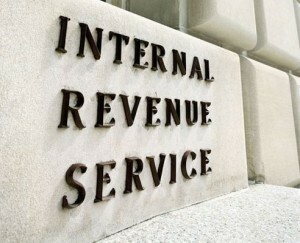 Typically the IRS subpoenas (IRS calls them a “summons”) the records of a known, identified taxpayer. For instance, if the IRS was seeking information about me, it might issue a subpoena to area banks seeking information about accounts held by “Brian Mahany”. In a John Doe summons action; the IRS seeks to gather information about a group of people whose identities are not yet known. In 2013, the IRS was seeking information about Americans holding accounts at FirstCaribbean International Bank. Because the bank had no branches in the United States, neither the courts nor IRS had jurisdiction over the bank and had no authority to compel the bank to turn over records. Instead, the IRS obtained a John Doe summons directed at Wells Fargo. To send and receive wire transfers from the United States, FCIB used Wells Fargo as it U.S. correspondent bank. In the most recent action, the court authorized issuance of a John Doe summons to several courier companies. Why? Because they often are used to ship checks to foreign banks or receive statements. Presently, the IRS is seeking information about taxpayers who worked with Sovereign Management & Legal Ltd, an offshore service provider. The IRS claims that Sovereign uses courier and money transfer services such as FedEx, UPS and Western Union to transfer funds. The government also says that HSBC acts as their correspondent. Why is the IRS seeking information about Sovereign? Court documents say that Sovereign helped American taxpayers set up anonymous corporations in Panama. For taxpayers that used Sovereign Management to set up an offshore account, time is running out. Although there are several compliance options including the IRS Streamlined Reporting program to help taxpayers come into compliance, the IRS typically does not offer much in the way of penalty abatement once they have issued a John Doe summons. If you have an unreported offshore account in Panama or an account held in the name of an anonymous Panamanian corporation, seek legal assistance immediately. Willful failure to report an offshore account is a felony. Civil penalties are also onerous; up to the greater of $100,000 or 50% of the highest account balance and can be imposed for multiple years. Need more information or think your account might be uncovered by a John Doe summons? Give us a call today. Our full service law firm concentrates in offshore reporting. Let an experienced tax lawyer explain your legal rights and obligations. There is no obligation and our initial conference is provided at no cost. or by telephone at (414) 223-0464. All calls protected by the attorney – client privilege.